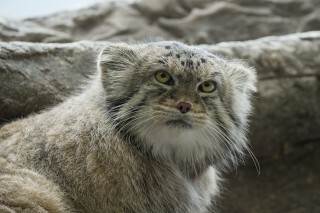 WCS’s Prospect Park Zoo welcomed a pair of Pallas’s cats (Otocolobus manul) to their brand-new holding area and exhibit. The new feline additions can be seen alternately on exhibit outside the Hall of Animals building. Both cats will be celebrating their third birthdays this year. Although they have their age in common, they have strikingly different personalities. The male, Batu, meaning firm or stable in Mongolian, can be seen interacting with children from the window of the exhibit that faces an indoor classroom and vocalizing at his keepers as they walk by the mesh viewing area. 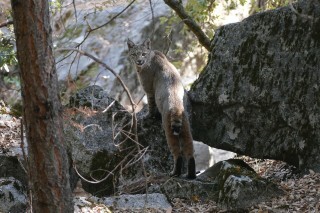 The female, Sarnai, meaning rose in Mongolian, is less sociable and prefers to watch from a distance. 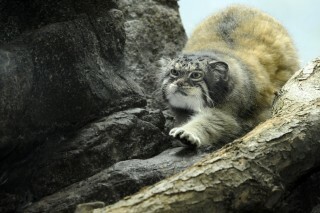 Pallas’s cats have a wide distribution occupying parts of Russia, Mongolia, and Iran. These small cats are known for their “grumpy” facial expression due to their circular pupils and wide-set small ears giving the illusion of an angry face. Part of their scientific name Otocolobus even means “ugly-eared” in Greek. 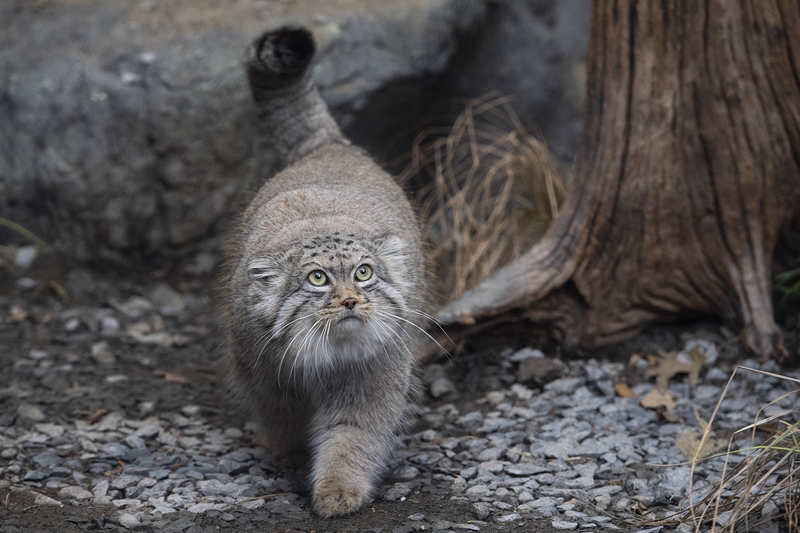 EDITOR’ S NOTE: The story of the construction of the Pallas’s cat exhibit and its new residents will be featured in the third season of Animal Planet’s THE ZOO, which premieres Sunday, February 10 at 8pm (EST). The series takes viewers behind the scenes at the Bronx Zoo and the other WCS wildlife parks in New York City including the Prospect Park Zoo and tells powerful, compelling stories of animals and their keepers, and the zoos’ contribution to conserving wildlife around the globe. See a video of the cats at Prospect Park Zoo here.